Slim Thug (born Stayve Jerome Thomas on February 17, 1982) is a rapper from Houston, Texas. He began his career with Swishahouse in the late 90s. After realizing how much money he could make distributing his own mixtapes, he parted ways with Swishahouse on good terms and formed his own independent label, Boss Hogg Outlawz (named after the Dukes of Hazzard character). He is officially signed to Boss Hogg Outlawz/E1 Music. Slim Thug's debut album, Already Platinum, was released on July 12, 2005. It features the singles "Like a Boss", "Three Kings", "I Ain't Heard Of That", and "Incredible Feeling". The album debuted at #2 on the U.S. Billboard 200 Albums Chart. His second album, Boss of All Bosses, was released in 2009. 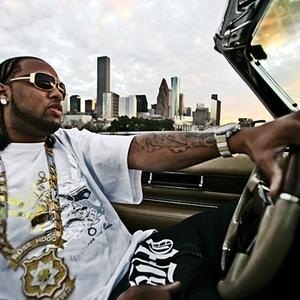 Slim Thug has had some success with his mixtape releases. He has proclaimed himself the "Big Boss of the South", referring to the U.S. south, and the "Big Boss of the North", referring to North Houston, Texas, the neighborhood where he grew up. As of July 22, 2005, he is dating Letoya Luckett, former member of Destiny's Child. In 2005, he also appeared in a remix of the song "Luxurious" by Gwen Stefani, and Check On It by Beyonc?. Slim says that his rap name comes from the fact that as a teenager, he was very tall and lanky before he filled out. He stands 6'6" tall. The Thug part comes from people's assumptions of him due to his braids and sunglasses.